New Delhi/Kolkata: In a setback to the Mamata Banerjee-led government in West Bengal, the Calcutta High Court on Thursday allowed the BJP to hold proposed 'Rath Yatra' in different parts of West Bengal. The Court permitted the BJP to organise the Yatras or 'Save Democracy Rally' in three separate parts of the state on December 22, December 24 and December 26.The HC also maintained that 12-hours 'notice' was sufficient for the police to make proper security arrangements in the places of the respective 'Rath Yatra's. Reacting to the High court's ruling , the BJP observed, " the HC has upheld our constitutional right ".The party also maintained that the court's verdict would be in favour of it to inform about the 'misrule' of the state government . Informatively, the High Court had asked the Advocate General to submit the video footage of the meeting held between the BJP delegates and the state government on December 13 to find an 'amicable solution' to the Yatra imbroglio.The Court had also urged both the BJP and the Trinamool Congress to find 'all possible ways' to break the impasse. 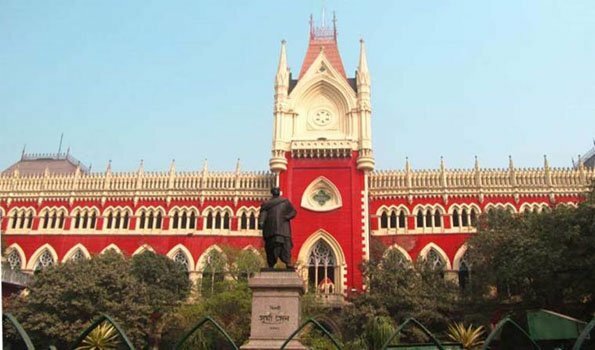 Tuesday's's hearing in the Calcutta High Court was on ruling BJP's petition seeking permission from the Trinamool Congress government in West Bengal for holding the party's proposed 'Rath Yatra' in the state, an attempt to make inroads into the state eyeing the 2019 Parliamentary elections. Powered by the results of the Panchayat polls that saw BJP in the second position, the Amit Shah-Narendra Modi-led party is making an all-out effort to strengthen the organisational base of the party in the state.The Mamata Banerjee-led dispensation in the state is also leaving no stone unturned to 'resist and prevent' the BJP in its bid to make further expansion of the party in Bengal. The Calcutta High Court on Monday 'permitted' the ruling BJP to file a case with regard to the West Bengal government's denial of permission to it for the party's proposed Rath Yatra or 'Save Democracy Rally' in the state and maintained that the hearing in this regard would take place on Tuesday. The High Court had 'accepted' the BJP petition, but refused the party's plea for an 'urgent hearing' in this regard on Monday itself. ''We are hopeful that the High Court's ruling will be in our favour. We may also resort to law violation programme, if situation demands,'' Mr Ghosh observed. "People in the state are ready for a change after BJP's growth and its success in winning over 7,000 seats in panchayat polls and hence it had rattled the Chief Minister who is taking such undemocratic decision", Mr Ghosh maintained. "The three yatras we have planned for organisational expansion in West Bengal will certainly happen and the Raths will roll out in the state as planned. Mamata Banerjee and her dispensation won't cow down BJP workers." Mr Ghosh opined. Earlier, the West Bengal BJP moved the Calcutta High Court again on Monday morning protesting against the state government's denial of permission for the party's proposed Rath Yatra or 'Save Democracy Rally' across the state. The BJP moved the court two days after the Mamata Banerjee led government denied the permission for the yatra on Saturday last observing that "The Raths, if permitted, will incite communal flare-ups statewide". The confrontation between the ruling BJP and the Mamata Banerjee-led West Bengal government with regard to rath yatra proposed by the former in the state aggravated on Saturday night with the rejection of it by the latter. The West Bengal government had sent a letter in this respect to the BJP state unit. In the letter, the state government maintained that the permission for the yatra could not be given as it might create communal tension in the state. "RSS, VHP and others like Bajrang Dal are scheduled to take part in the yatra and these may incite communal violence across the state," the sources quoting the letter said.However, the permission for a meeting of BJP might be given if okayed by the district administration. Informatively, after the Calcutta High Court's denial of permission to the rath yatra on December 7 from Cooch Behar, it had asked the Bengal administration to "cooperate" with the BJP. After the direction from Division Bench of Calcutta High Court, the BJP has filed a caveat in the Supreme Court in this regard. The BJP had suffered a major jolt on December 6 after Calcutta High Court denied permission to the yatra directing the party to put it on hold till the next hearing of the case on January 9, 2019. BJP President Amit Shah on December 7 had cancelled his proposed visit to Cooch Behar district of West Bengal where he was scheduled to commence the party's 41-day Rath Yatra.